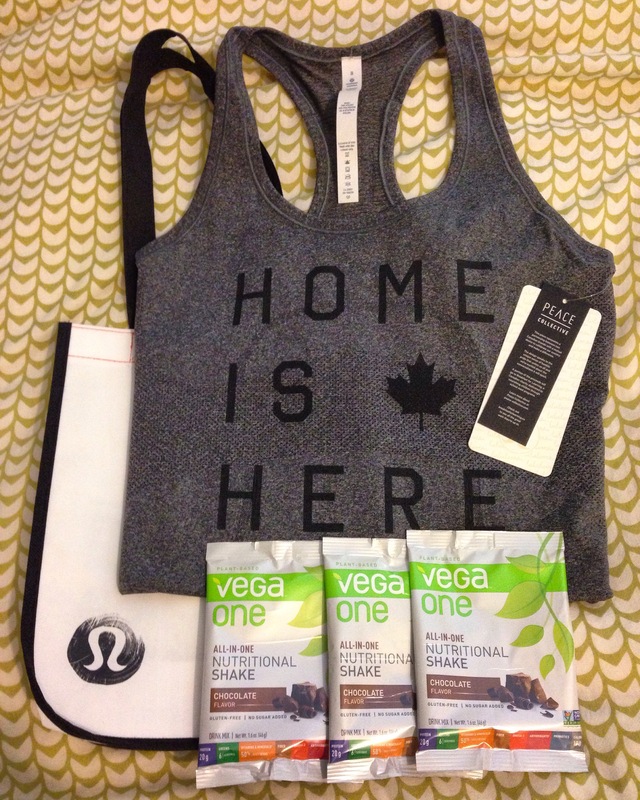 Running, shopping and yoga … Oh my! Last week, I had a chance to attend a private shopping event hosted by Canada Running Series and Lululemon. 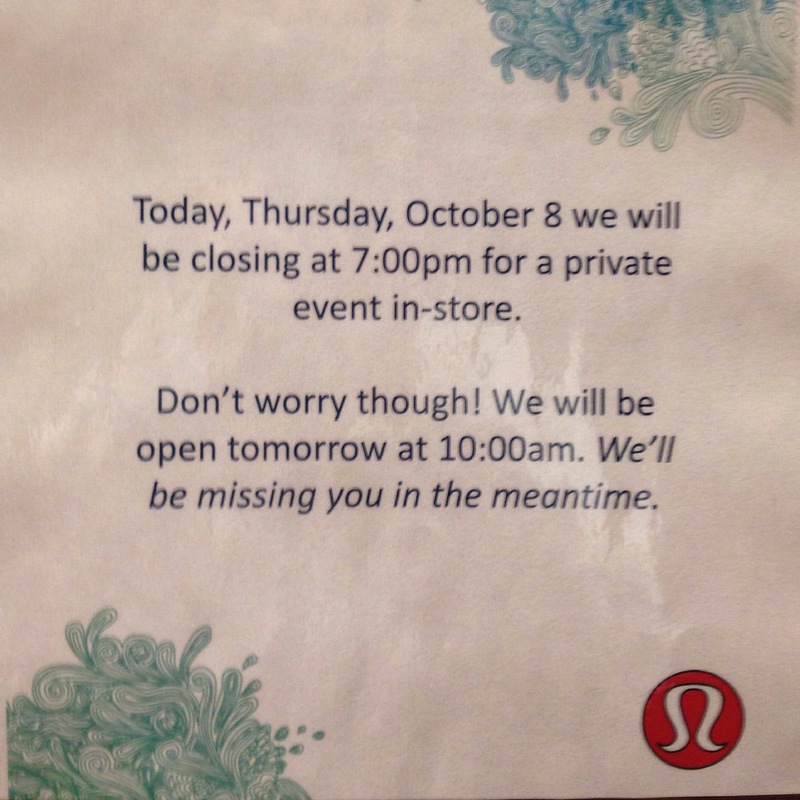 The Yorkdale Lululemon store was closed to the public at 7PM and the STWM Digital Champions and Community Leaders had the store to ourselves. A night of shopping and socializing was just what I needed! We also had a chance to participate in a 45 minute yoga session being led by Heather from Tribe Fitness. It was fun to take part in the clinic with other runners, some of whom were first-timers like myself. There was no pressure to be perfect because everyone else was a beginner too. The shopping and yoga session made for a fantastic evening! It was great seeing everyone in a non-running environment and being able to relax and have fun before the race! As for the shopping, I managed to make it out of Lululemon with one tank top. See I have some self control! And thank-you Vega for the samples of Vega One! The yoga was a good reminder for me to work on my stretching and flexibility. After the Scotiabank Waterfront Marathon this year, I may have to join Heather and Tribe Fitness for their weekly Sunday yoga class. What does everyone do to cross train and to keep themselves flexible?